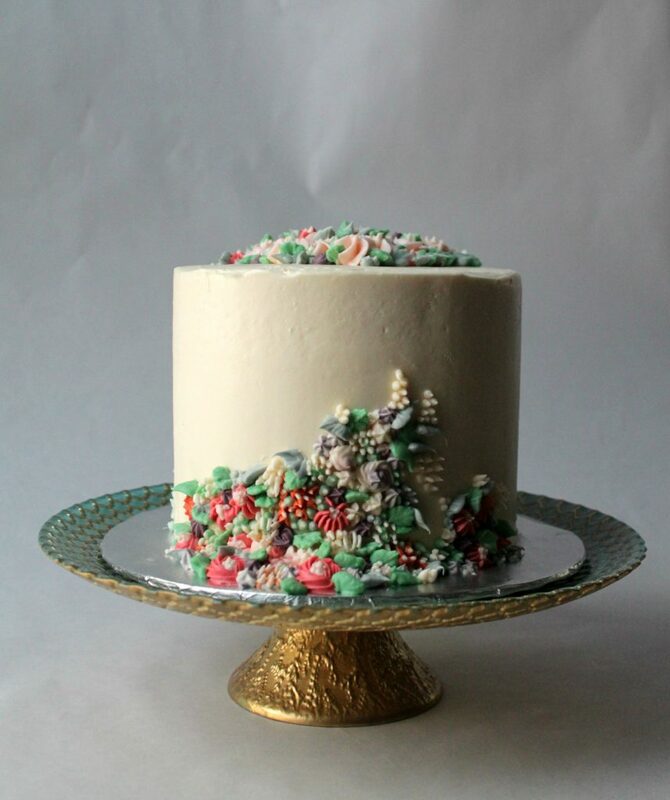 When is a birthday cake more than just a cake? When it’s covered in tiny blooms and beautiful colors. If you know anything about me then you know I love flowers! Especially this time of year when it is still just a bit too dark. But this past week was unusual with February temps in the upper 50’s all the way to 70 degrees! It was crazy! And I loved every minute of it. I had this idea of bunches and masses of little flowers just bursting all over! I had a hard time keeping them from taking over the entire cake. But I wanted to be sure I had room for something a little different, a little abstract, and rather “vine-like”. The weather did make caking tricky. The heat was still on in my tiny kitchen. Opening the windows didn’t help all that much. And my buttercream kept getting too warm. Perseverance was definitely needed! I did enjoy making this sweet February birthday cake. You wouldn’t have thought that something that looks this simple would be time consuming (and I believe if it hadn’t been so warm that day this birthday cake may have been much quicker). But it was! 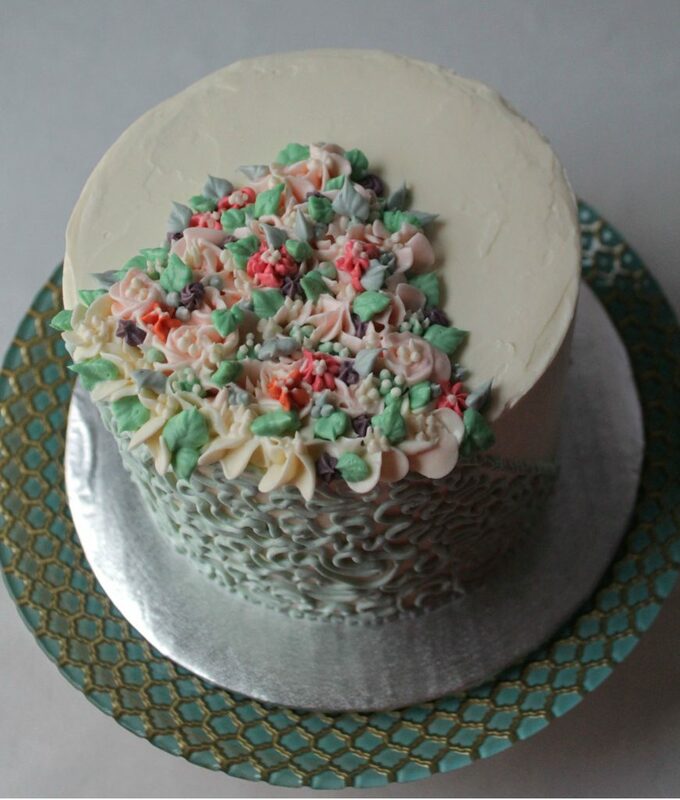 I didn’t think I was ever going to finish decorating this cake. Although, that could have been because I just wanted to add more and more tiny blooms. Decorating this cake was a little different than most. I had more freedom to be as creative as I wanted with the design. The only request was for the flavors and that there was some extra frosting. I think I managed coordinating the different features and colors pretty well. What do you think? 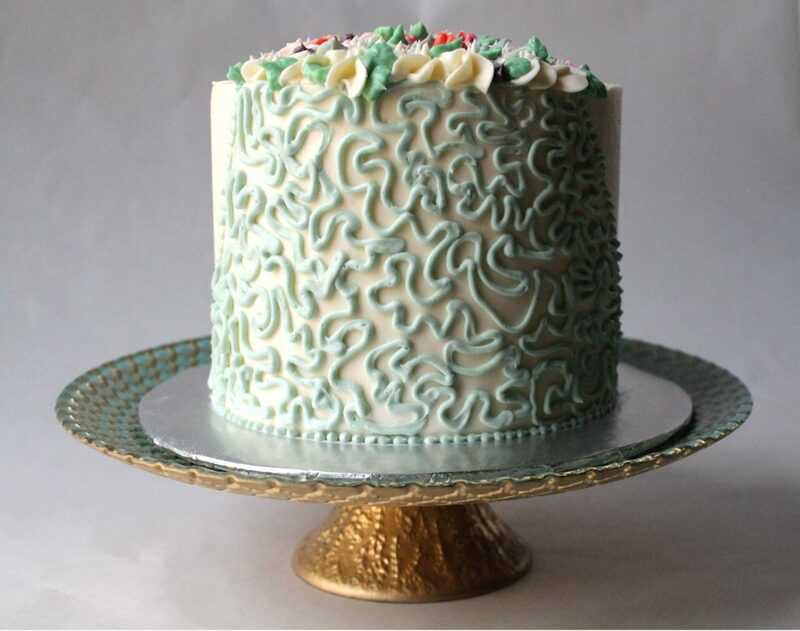 Could this have been a cake for you? Leave a comment with questions or thoughts. I’d love to hear what you’re thinking! 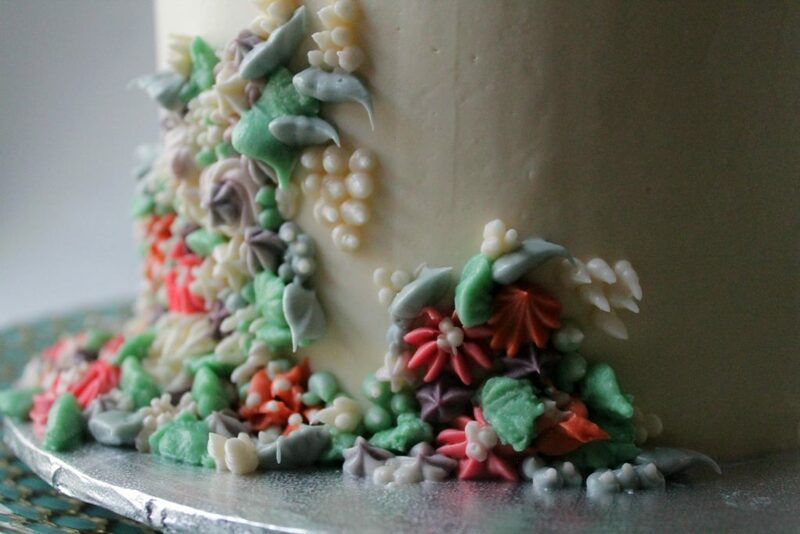 I can’t decide if I like the little flowers or the vines better. I love it all!